Let me set the scene: I’m a 24 year-old photographer based in London. I specialize in portraits with actors, models, and musicians and I started freelancing almost three years ago. I didn’t know what to expect when I first started working in the creative industry, but I soon learned the extent of how many jobs are expected for absolutely no payment in return. But is it really all that bad? Speaking honestly, I don’t think so. Here’s why I think we should stop complaining and, within reason, keep saying "yes" to more free projects. Recently, I was trying to source a creative team for an upcoming photoshoot — just the usual: a makeup artist, hairstylist, and wardrobe stylist. The shoot was with an up and coming musician signed to a major record label and the feature is to be inside the next print issue of a renowned British magazine. I thought it was cool; this is exactly the type of project I want to be working on and exactly the kind of photographer I want to be. But when asking around to see which of my regular contacts were available and interested, I couldn’t help but notice a reluctance from quite a few of my peers once they found out there would be no payment. One said they were focusing exclusively on paid work right now. Another asked if it was for the magazine’s front cover and soon lost interest upon finding out that it wasn’t. This, to me, was really strange — to completely write off the opportunity to have your work printed in a respectable publication. I can’t help but feel it was almost a little arrogant for these people to be seeing nothing further than the prospect of money. It got me thinking about the state of the creative world. The industry is changing; that’s for sure. Blogs and magazines are being more cautious than ever about which projects they distribute their money towards, because the truth of the matter is people are buying less physical print copies, and less sales ultimately means less advertising revenue. It’s now the norm for there to be no allocated budget for any given shoot, but still, there remains the expectation that the project will be shot in a fantastic venue curated by a large team, all of whom will inevitably be contributing their services free of charge. From speaking to friends back home, I’ve discovered there is a big misconception when it comes to the relationship between the photographic world and money. Everyone on the outside looking in tends to presume that the bigger the client – particularly if a "celebrity" is involved – the larger the paycheck. Wrong! In fact, it seems to be the complete opposite, with the general protocol seemingly being that the bigger the client name, the greater the privilege, and thus, the sacrifice of any kind of actual payment; I mean besides social media tagging, which is virtually a currency these days. You have to be willing to work hard. This isn’t a field in which you can dabble in and just blag your way through. Expect late nights and last-minute calls. In an industry saturated with creativity and with high-quality cameras becoming more accessible to the masses, you have to distinguish yourself as someone who is committed to the cause, and not someone who is merely in it for an extra hobby. Put in the hours, work the long nights, say "yes" to the free shoots. This is where those that are serious about photography are separated from those who just like the idea of it. It’s the hustle that separates those of us who live for photography and the arts. Perhaps I’m just sick and twisted, but I like feeling as though I’ve earned my place in the industry, and I’m proud of being able to say that I’ve worked myself into a position where I can be choosey of what free work I take on, and likewise, that I can book jobs that do pay and pay well. 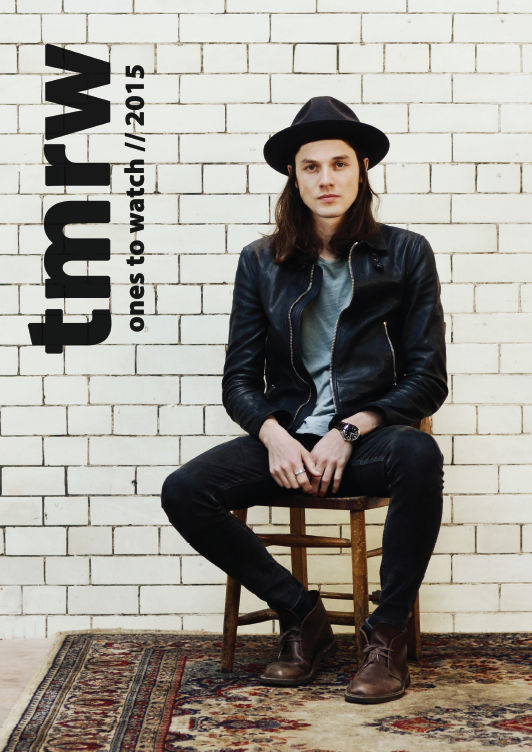 I shot a magazine cover with British Musician James Bay for free. Seeing it on shelves across the country has meant more than any paycheck. So often when discussing upcoming projects with other creatives, the first question will be: “Are they paid?” My question is: as long as my rent is getting paid, does it matter? There are benefits to working for free; so, don’t be so quick to complain about the financial side of things. Take this time to hone your skills and also to develop new ones. Working with little-to-no budget creates an entirely different atmosphere on set. With the pressure of a paying client removed, you’ll find you’re more in touch with the ideas you have for the shoot and you’re not just worried about living up to the fee you’ve quoted. Free shoots usually mean a lot more creative freedom too, as paying clients almost always have an idea about what they want and are only willing to part with their money if they know the vision they have will be brought to fruition. And with no budget, you’ll be at your most resourceful, thinking about things further in depth and pushing through ideas in ways you’d never ordinarily have thought of if you could just threw some cash at it. Free shoots should be viewed as a chance to practice new techniques, to get to know your camera inside out, and to meet hundreds of new contacts along the way, so that you’re fully qualified for the paid jobs when they do start to come in. You never know who you’ll bump into on a set and at worst, you get the pleasure of working alongside people of all ages and backgrounds. One thing I promised myself from the outset is that, within reason, money will not dictate my life. And it definitely won’t dictate my career. Of course, inevitably, there are some jobs I do for no reason other than the money. Corporate headshots are far from my favorite, but they pay the bills. Heck, if I wanted to be rich, I certainly wouldn’t be freelance. There are days I dream of what a luxury it must be to have a salaried job with a fixed income, so you can assess what you have coming in versus what you have coming out. But the reality is I wouldn’t trade being freelance for anything. It gives me the freedom to take my career in whichever direction I choose and allows me to be selective of the projects I choose to devote time to. And that, to me, is invaluable. Just because a shoot is without payment, that’s not to say it isn’t without serious perks. To be published is a privilege, not a god-given right. When you look back on your career in later life, you’re not going to be thinking about the time you got paid, or that shoot you in which you managed to wrangle a higher rate out of one of your clients. 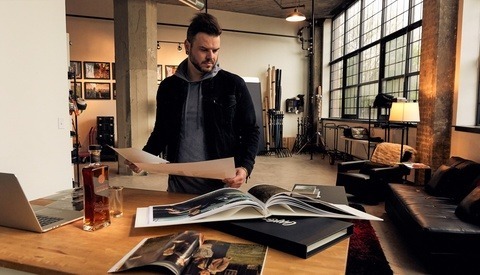 You’ll be thinking about the magazine cover spread you produced, shot, and directed, or the time you had someone email you to say how much they enjoyed the spread you shot in their favorite publication. That is worth so much more than money to me. I wasn't paid for being featured in a recent issue of British Vogue, but this is something I'll forever be proud of. Now, it’d be naive of me to sit here and promote working for free like we can survive without the jobs that pay. I’m not saying to scrap your fees and make a habit of running photo favors for people you’ve never met and may never see again. And yes, sometimes it does frustrate me when people just assume I’ll be undertaking their every photographic need for absolutely no fee whatsoever. That very attitude is the reason I had to work a part-time job that I hated when I first started freelancing. I’m not afraid to admit I’ve had some financial support from my parents along the way, which I know is not an option everyone is privileged enough to indulge in. Some people also have family to look after or a mortgage. I’m aware. But what I’m suggesting is to merely keep an open mind. Whenever possible, don’t let money dictate what you say "yes" to. Remember that although you’re forging a career out of your work, the reason you chose to get into this industry was because of your love of taking photos. So, stop complaining and get on with it. Make the most of every part of the photo-taking proces, and take control of all aspects of the shoot so that it’s your project and is worth your time. There are so many great experiences out there to be had. If it’s something you really want to work on, make sure you don’t miss out because you decided it was more important to get rich. Where's the retweet button on this classic reply from Derek Pye? I don't use the word "brilliant" very often. But for you sir, I shall take it out and dust if off. Moving to one side the fact you're trying to ridicule me, I can't deny I laughed reading that. Thanks for posting this. Sorry for all the hate you're getting. If you can't keep up with the kids doing things for free then you don't deserve to be paid. Working for free for big companies (who by the way makes money on your work) is foolish. You are just cutting off a hand that would otherwise have feed you. May I remind that we are not talking about a poor artist or a charity organisation, here it's big companies that used to pay people for this work and now take advantage of the naivety of young photographers that still lives on their parents money. Assuming all of us are just "young photographers that still lives on their parents money" is just degrading. When it comes down to it, the companies that don't care who they are hiring and aren't going to be paying are going to keep doing just that, and the ones that care will be doing the same. If a shoot comes along that I think will be enjoyable for me, I don't care whether it's paid or not. It's about the craft and enjoying what you do, not the money. And I think that is what Jack is saying. - Sincerely, a photographer who makes a living doing what he loves and doesn't rely on anyone else. Thank you Caleb, for being in the small minority that understand what I meant by this article. It's a breath of fresh air amongst a bunch of comments from folk who have clearly read the words 'work for free' and made up their mind on my piece without actually listening to what I was suggesting. Dear Caleb, I don't say that all of you are living on your parents money, I just remind that Jack explained us that he could only make it thank's to his parent financial help. 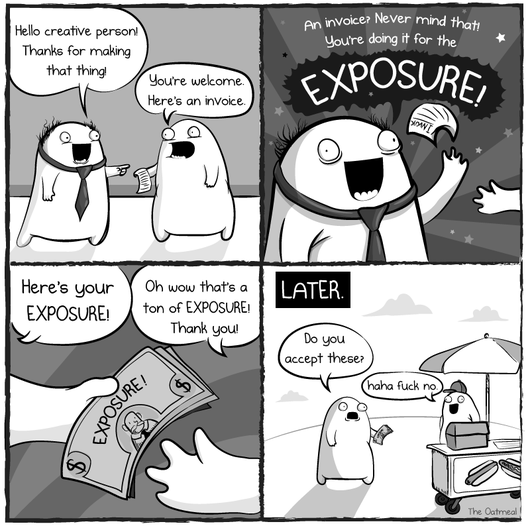 Something to think about when you encourage giving away your work. If you want to work for free because you like a project, good for you. Pretending that we should all do it more, and that it's good for our career or whatever, is something else. I cannot agree with that statement. Now about the companies that don't want to pay for picture, well, you make a big mistake to think they will never pay anymore. Those companies, with whom I work by the way, do spend money on picture every time they need to. They only spend less money then before because of foolish photographers who accept to give away their work. They probably do it in order to put a feet in the door but they don't realize that doing so cut the hand that might have feed them. As more and more young photographer are willing to work for free or almost nothing, rates are going down and in the end we all lose. that's just it though Caleb. he's not being paid! I don't hate the author, and I believe he is a great photographer. if he wants to shoot for free then let him. no skin off my nose. meanwhile I'll be taking my check thanks.
" If you can't keep up with the kids doing things for free then you don't deserve to be paid.". What a truly stupid comment! I'd rather not 'keep up with the kids' thank you if they are inexperienced and very arrogant newbies helping to ruin the industry I hold so dear. Fortunately the 'kids' straight out of Uni who I've mentored,(and PAID), over the years all showed a much more sensible attitude. They are now photographers in their own right, doing work they get paid for and not writing ridiculous articles that help destroy the credibility of professional photography. Jack, I know i am not going to change your mind but you should at least realize people aren't arrogant just because they expect to get paid for working. Also I have never heard of a corporation expecting someone to work for them without payment. Not once in 25 years as a photographer has anyone asked me to do that. Those publications are taking major advantage of you. I can understand the temptation to do work for free to get your foot in the door, but the negative is... it creates an expectation in them to not have to pay you. I absolutely disagree with this article! The fact that you did a freebie for UK vogue and other top magazine is ridiculous. All you’re doing is making it harder for yourself and other creative professionals on getting compensation for your services and time. Even by publishing this article devalued you… all it takes is someone to google your name and boom this article pops up… what? He does free work? Awesome!, says a potential paid… nope… free client. Please watch this video as it discuss free work… "Pay the Writer" or in our case, the photographer! 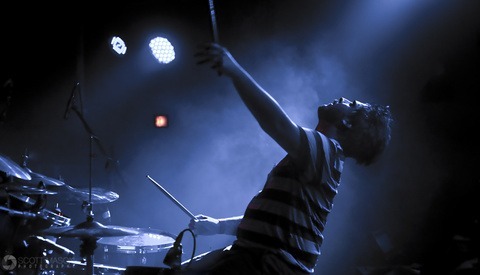 In my opinion Jack is displaying what many would perhaps call the arrogance of youth. I work in the film/television industry and have done for over 15 years. 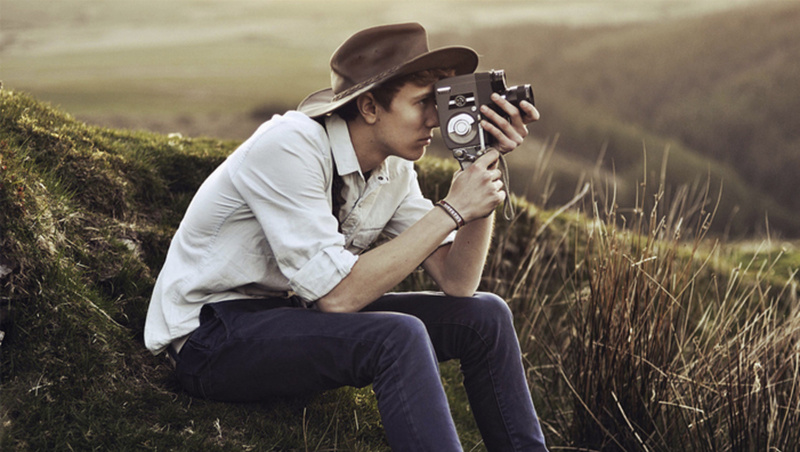 Like photography this world has changed dramatically and there is a growing expectation to work for free on projects particularly in film (especially those - due to poor scripts or the experience of the Producers - would have unlikely received funding through the traditional channels). I always advise my assistants to resist doing things for free or too cheaply. Not because I am afraid of them getting "my" work but rather because if you become known as cheap, no matter how "good" a product you provide it will never be truly valued by those who hand out the lucrative work. As a result you will never get those high value projects you desire so will end up working on free to mid-range projects at best because you are the "cheap" guy. Get know for being good and work hard and you earn the high value projects. These take time and are not attainable after 3 years in the industry. These take time and are not attainable after 5 years in the industry. These take time and are almost attainable after 10 years in the industry because experience counts and there are no shortcuts - not even being cheap. 1.) You are still in the industry but are scratching around still doing free work for exposure because you are known as the cheap guy and are still being teased with those big contracts. You are working much more than you'd like (as you are having to accept more low-paid work to pay your escalating bills because life isn't cheap) and you start to compare yourself with your mates as they have grown up and got mortgages and have started to have families (you'd like to do that but the banks don't think you earn enough). 2.) You have realised what many are saying here is true and you've stopped doing free work. You've started to value your work and time because you have somehow managed to get a mortgage, get married and have a kid on the way. You work on projects you would have previously dismissed because it pays the bills. But through this hard work you gained a break and are starting to have interviews for the jobs you call high value projects. 3.) You are no longer in the industry and are working in a call centre (or other mundane job but not in the industry). You moved out of London because you couldn't afford the rent (which keeps going up every year). You still do photography as a hobby but your kit is kinda old now (so even the free jobs are starting to dry up) which really annoys you. You still have copies of the magazine work you did mounted on the wall of your rented apartment and you look at it from time to time thinking about how it could have been different. Look me up in ten years, I'd be fascinated to hear which of the three you became. How do I add a plus 10 thumbs up?! I wonder if the rest of the fstoppers editorial staff feels this way. Would like to hear from some of them. Of course some don't. This is an opinion piece - it's not supposed to unite everyone in agreement. I'm speaking on behalf of myself, not Fstoppers. Interesting jack... whilst we're on the topic of your personal finances, do you get paid to write for fStoppers? I am most concerned that somebody masquerading as me has posted bad advice. I think Jack is right to follow HIS dream of being a quite tedious and average magazine photo snapper. The reality is that you can't realistically charge for dull photos like the ones posted with this article - you'd be bang in trouble if the mag was actually paying for them and you'd never work again. Full Disclosure of Conflict of Interest: I am a member of the same Masonic Lodge as Jack's Father and made love to his Mother several times in the early 90s. Couldn't disagree with this article more! The reason why clients don't want to spend money on photographs anymore is because of photographers like this guy, the young ones who feel bad about charging clients. Devaluing their own profession or is it just a hobby? So, you're not a serious photographer unless you do some free shoots now and then? Categorising 'the young ones' all together tells me everything I need to know about you, sir. Please, where did I state you're not a serious photographer if you don't take on free work?! The point of this article was to say we should not miss out on doing what we love because we're too proud to say yes without payment. And I mean that within reason. I survive off my photographic earnings and have done for 3 years. Completely missed the point of this post, but thanks anyway. The magazines that he worked for for free will be the ones he will look back on with embarassment in the future, he will remember the times he was taken advantage of, he will remember his naivety. Those will be the publications he will want to keep quiet about. Of course one should do work for free, for passion and for your portfolio, but only for your own personal projects - not for magazines, for yourself, and never let a magazine 'commission' them or influence how you do them. If you mix up the magazine work with your personal work the latter will never be any good, and the former will be unprofitable. There are plenty of magazines that pay well enough for exciting editorial work, those are the ones you should be proud to work for, not the ones that think so little of you that they are prepared to take you for a ride. The magazines I do free work for give me entire creative control. I get to source the team, come up with the ideas, pick the venue etc etc. No different from personal work - except a much larger audience view them.